With a milkweed skin rash treatment, you can heal a myriad of skin issues the natural way. Milkweed is a plant that is known for its milky white sap. Known for being a particularly healing and rejuvenating plant that grows in rural and rough soil, the plant is abundant in South America and in other areas of the world that can be considered pantropical. Milkweeds are known for their uniquely shaped flowers that resemble a spiny star. The anthers of the plant contain small sacks which hold the white sap the flower is notorious for. Monarch butterflies like to lay their eggs on the bottoms of milkweed and while some are toxic, the majority of milkweed plants are quite popular with people who embrace natural remedies for skincare. Don't know what any of those are? In short, they are the components of the milkweed plant that allow for healing and a theraputic dose of comfort for injured skin. Many people use a milkweed skin rash treatment to soothe everything from mild irritation to poison ivy. Beyond the skin rash treatment, this plant has been clinically tested to assist with the removal of warts. Known as topical immunotherapy, this is used by alternative medicine professionals quite often to rid the skin of the unwanted growth. 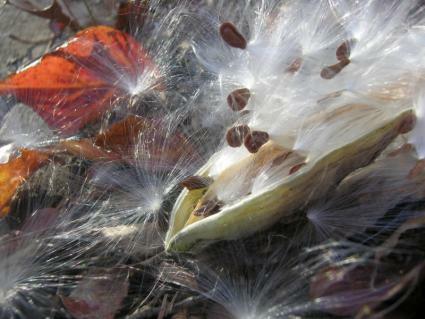 There is also a much reduced risk of scarring when you choose to use milkweed. Used to also remove more difficult warts such as genital warts, you will find that a combination of milkweed milk, aloe, and vitamin E can soothe an outbreak and help them to occur less frequently. A milkweed treatment has been proven to work on such a situation, and with this clinical backing many people are finding it to be an alternative to standard medications. If you find yourself with a heat rash, an allergic reaction to a fabric, or some other easily explainable skin nuisance, you can use a product containing milkweed and probably find a solution. However, if you are suffering with a sexually transmitted illness or a persistent rash that refuses to let up, consult your doctor before going down the path of self-treatment. Many doctors agree with the healing properties of the milkweed skin rash treatment, however everyone's body is different, making it safest to go to your doctor first. Mikweed should never be ingested as a food or beverage. It is strictly for topical use, and should be kept out of the reach of children and pets, as it is toxic to certain animals. You can purchase milkweed at your local natural food or cosmetics store, and you will find at times it works much more effectively than a traditional treatment prescribed by your doctor.